Your eye health is to be taken seriously. That’s why it’s important for you to have the information available to know how to take care of your eyes. Below you will find links and other educational resources to keep you informed. Have More Questions?Contact your patient service rep today at (573) 441-7070. New Patient Registration Paperwork: This packet is for New patients to fill out and bring in with them for their initial visit. New Lasik Patient Paperwork: This packet is for Lasik patients to fill out and bring in with them for their initial visit. New Cataract Patient Registration Paperwork: This packet is for Cataract patients to fill out and bring in with them for their initial visit. AMSLER GRID: This is the Amsler Grid. Be sure to download this pdf and use it regularly. Stick it to your medicine cabinet or refrigerator. All About Vision®: More information regarding cataract surgery and LASIK. American Academy of Ophthalmology: The largest national membership association of eye doctors. Ophthalmologists are medical and osteopathic physicians who provide comprehensive eye care, including medical, surgical and optical care. 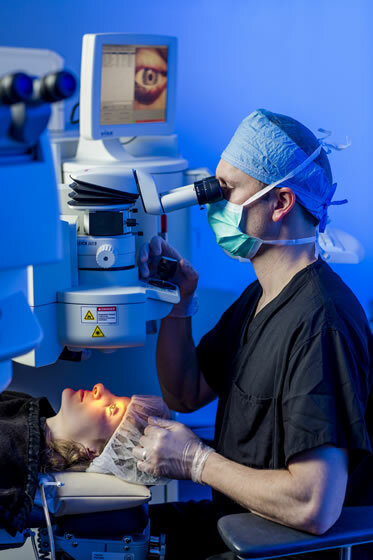 American Society of Cataract and Refractive Surgery: The American Society of Cataract and Refractive Surgery mission is to advance the art and science of ophthalmic surgery and the knowledge and skills of ophthalmic surgeons. It does so by providing clinical and practice management education and by working with patients, government, and the medical community to promote the delivery of quality eye care. Cataract Vision Simulator: Interact with a simulator to see how cataracts affect your vision and learn about what they are. Get EyeSmart®: A trusted source for eye health information sponsored by the American Academy of Ophthalmology. The Cost of Cataract Surgery: A helpful guide to insurance and cataract surgery. The Cost of Lasik Surgery: A helpful guide for those who are curious about iLasik surgery.